Fleet Flower Club are running a coach to Andy McIndoe’s garden at Sherfield English about 4 miles from Romsey. He is the director of Hillier Garden Centres and has designed the Hillier Chelsea exhibit since 1989 with an unbroken record of Gold medals. Andrew writes and broadcasts regularly as well as lecturing throughout the UK and abroad – so we should be in for a treat. 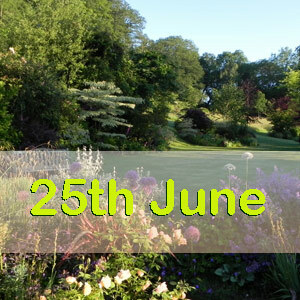 Date booked is Sunday, 25th June 2017 with a coach departing from the Memorial Hall, Sandy Lane, Fleet at approx 12.30 pm for tour of the garden. There will be refreshments after the tour. Leaving the garden at approx 5 pm for return to Fleet, traffic permitting should be back at about 6.30 pm. There is plenty of free parking in the Memorial Hall car park but cars must be along far fence. The cost including coach and entrance to garden is £25 – this will be done on a first come first served basis. Payment in advance of the trip please. Finally let’s hope for some lovely weather. If you are interested then please contact Sue Gibbons sue.gibbons@hotmail.com for further information and payment details.